Just over a year ago, Destination Brisbane Consortium began the demolition and enabling works on site and since then the Queen’s Wharf Brisbane precinct has changed considerably. While we are always mindful of the impact our development has on the community, and our contractors seek to minimise disruptions as much as possible, we realise these changes haven’t occurred without some disruption and inconvenience to our near neighbours. Therefore, we want to say a big thank you. Thank you for being so accepting and supportive of our work on the development. In September 2016, Destination Brisbane Consortium commissioned local firm Proof Research to undertake a community sentiment survey about the Queen’s Wharf Brisbane development. We wanted a baseline to understand how much people knew about the development, and what their views were towards it. At the time, we received strong support for the project, reasonably good awareness and favourable views. In October this year, Proof Research undertook a second round of the survey. We are pleased to report that the findings showed even stronger levels of awareness, knowledge and support for the development. When asked about attitudes and support for Queen’s Wharf Brisbane 62% of people were supportive, up from 55% last year; while 30% of people were either uncertain or needed more information to form an opinion. In total, all attitudes had moved in a favourable direction towards the project. Employment and jobs continue to be the number one benefit people associate with the project, followed closely by tourism benefits and breathing new life into this area of the CBD. When prompted with the Queen’s Wharf Brisbane name, 59% of people knew about the development, an increase of 12% from the previous year. The key features people knew about were the casino, hotel accommodation, dining options and new retail. While this reveals good high-level awareness, it shows there is low-level awareness of other attributes such as the 12 football fields of pubic space, the free and accessible Sky Deck (100m above William Street), and the new pedestrian bridge that will connect South Bank and the arts precinct with the integrated resort development and city centre. 72% believe it will improve Brisbane’s cityscape and the same number believes it will result in something Brisbane can be proud of. The survey shows people want continuing information about traffic disruptions, road closures, expected changes to public transport and any disruptions to footpaths or pedestrian access. This will remain an important focus for us, as we constantly aim to inform people ahead of time of such changes. Our commitment is to ensuring information is always available on our website queenswharfbrisbane.com.au (go to ‘Construction’ and then scroll down to ‘construction updates’). Alternatively, updates can be emailed to you if you select the ‘stay informed’ feature on our website home page. The survey also shows that the dedicated Queen’s Wharf Brisbane website, local area signage, Queen’s Wharf Facebook page and local newspapers are your preferred information channels. We will continue to use these to inform you – plus you can also send your comments or questions to us at any time and we will get back to you as quickly as we can. The research audience included 772 residents of Greater Brisbane aged over 18 years. It included a mix of residents who visit the CBD occasionally, and those who visit the CBD on a regular basis, including those who work in the city. Thank you for helping identify your preferred ways for us to share information about Queen’s Wharf Brisbane. 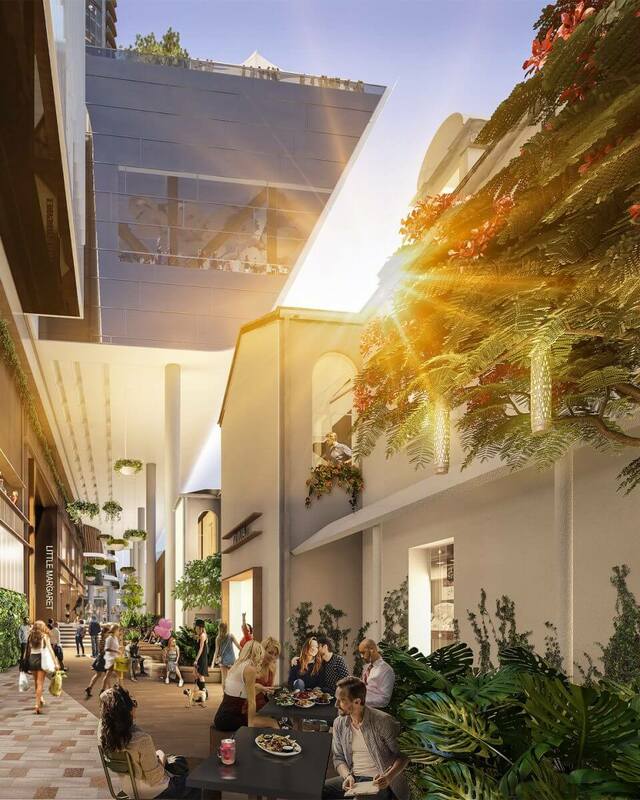 Destination Brisbane Consortium is excited about what the Queen’s Wharf Brisbane development will do for an underutilised part of the Brisbane CBD, and after reading some of the survey comments, it’s great to see many of you are excited about it too! We welcome your support while we undertake this multi-billion dollar city-changing project. We still have a long way to go with the opening not expected until late 2022, but we hope you agree that it will be worth the wait! In the meantime, we are creating hundreds of local jobs during demolition and excavation, with many more to come during construction, and then once we are operational.